Happy Halloweekend! Is it just me or does the Halloween holiday get longer and longer every year? It seems to last for days now! Which is OK with me, since I love celebrating it! 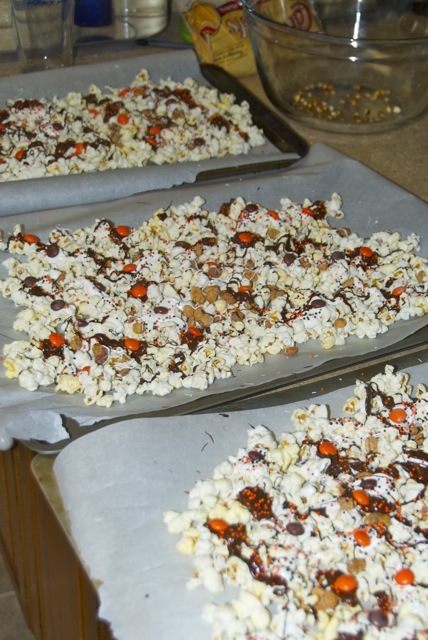 Anyone remember back to my first real blog post, when I made Valentine’s Day popcorn? 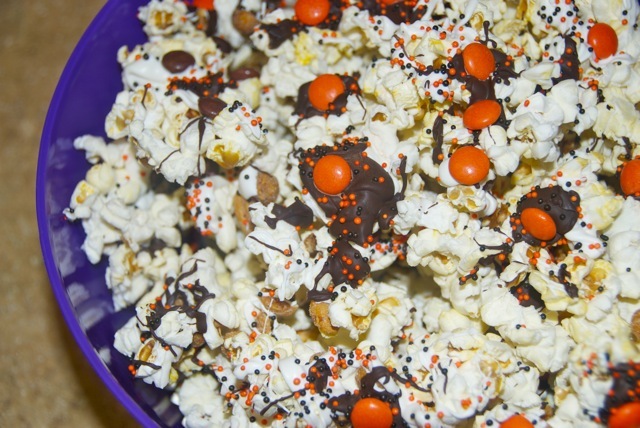 We’ll, Nick and I went to a Halloween party last night and I decided to make some Halloween popcorn to bring! 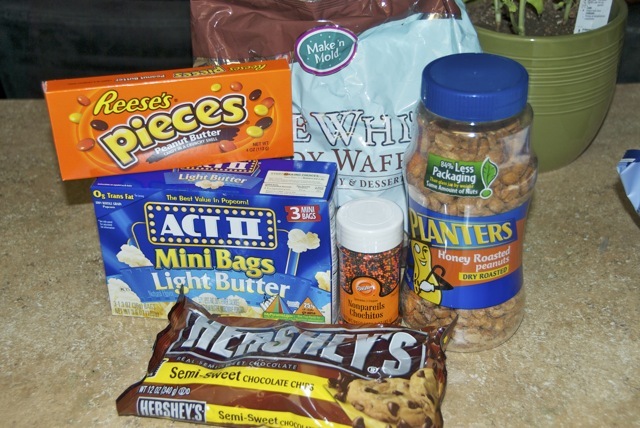 I used the same method that I used for the Valentine’s Day popcorn, so if you want to make this, check out that post. Just ignore the horribly dull photos… I had yet to discover Photoshop (yes, I edit every single picture now before it goes onto the blog)! 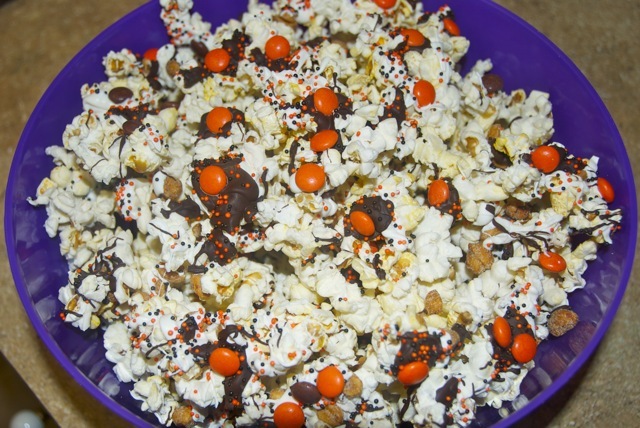 Since the Commissary didn’t carry Halloween M&M’s, I decided to use Reese’s Pieces instead (just the orange and brown ones… the yellows became my snack!). I made a big batch and everyone loved it! The sweet and salty combo is always killer, and the festive colors are so fun! 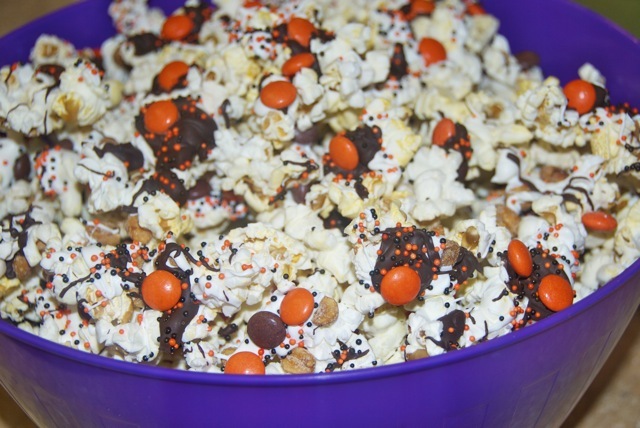 The popcorn mix is cute and easy to make for someone who’s not big into baking or cooking. 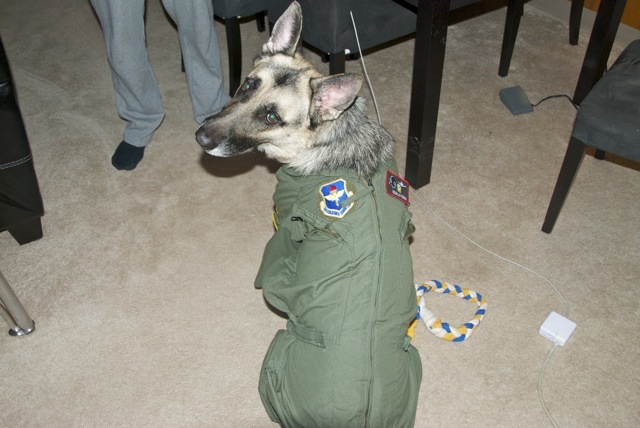 We’ve got another Halloween party tonight, so stay tuned for another treat tomorrow! 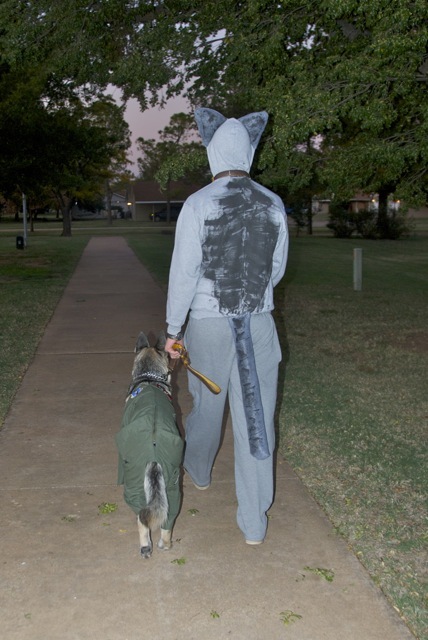 In the meantime, check out the awesome costumes I made for Nick and Kaiser! So if Kaiser dressed up as Nick, what did Nick dress up as? Kaiser! 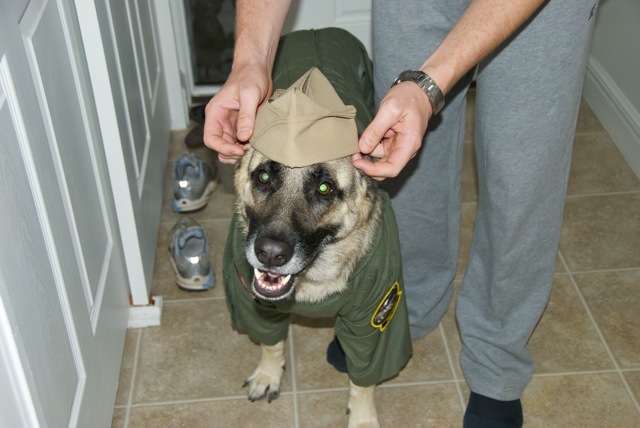 Kaiser enjoyed bossing Nick around and telling him to sit. Great dessert and costumes! It was definitely a favorite at the party last night! I love this! 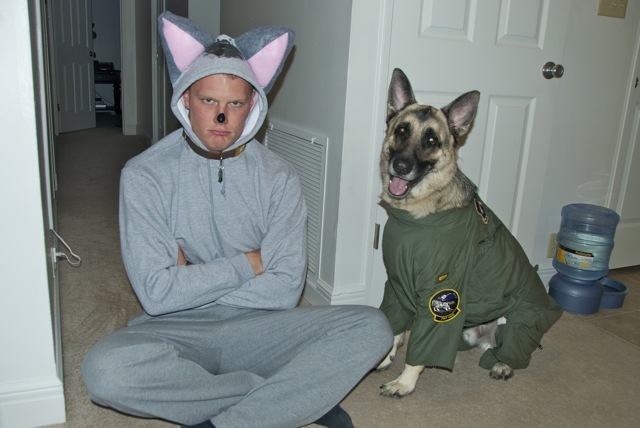 I also have to say that those costumes are great! Thanks for linking up with Link Up and Spook On! This looks delicious! I could definitely eat a ton of this!